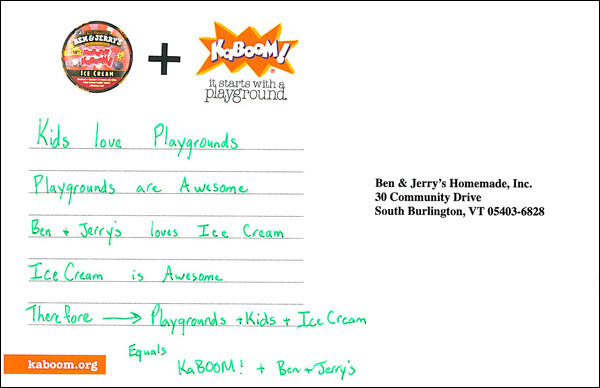 Children like few things in this world more than playgrounds and ice cream. 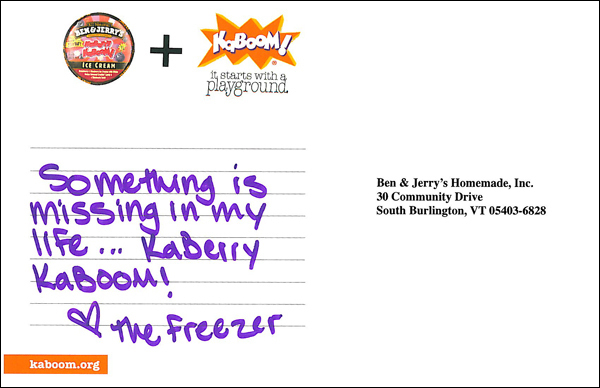 That's why it seemed like a no-brainer for Ben & Jerry's to name an ice cream flavor after KaBOOM! back in 2002. 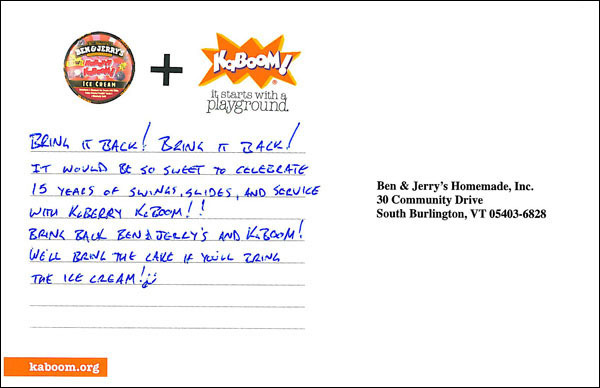 Kaberry KaBOOM! 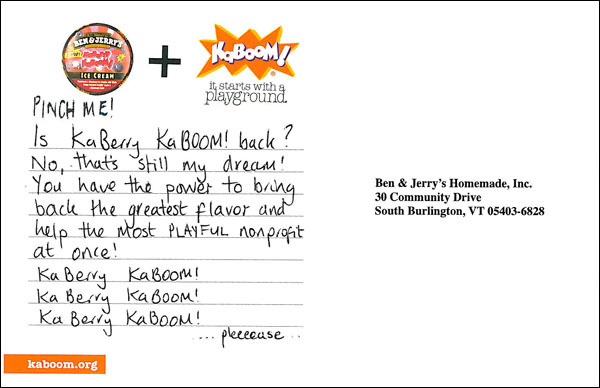 was a blend of strawberry and blueberry ice cream with white-fudge-covered crackling candies. Show your support! 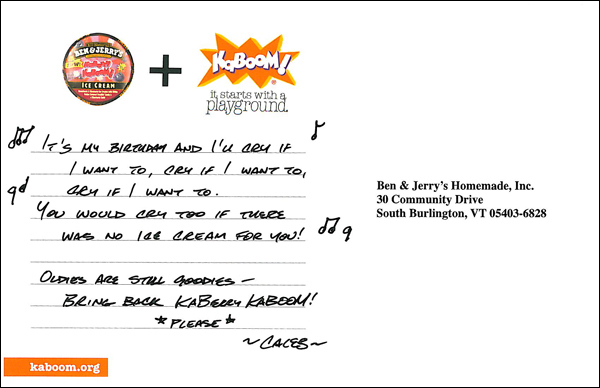 Join our Bring Back Kaberry KaBOOM! Facebook Group.